Sen. Warner on Russia report: "I thought we would be done before this"
Sen. Mark Warner, D-Virginia, who serves as Vice Chairman of the Senate Intelligence Committee, says that while the committee has made significant progress in their bipartisan investigation into Russian interference in the 2016 U.S. presidential election, he "thought we would be done before this." "As we see all of these connections, they all lead to somebody else, to lead to another question," Warner said on CBS News' "The Takeout" podcast this week. The committee, headed by Chairman Sen. Richard Burr, R-North Carolina, is charged with investigating Russian interference in the 2016 election and any possible involvement of Trump associates. Warner said that "the cast of characters" has further complicated and drawn out the investigation. "We are not going to reach any final conclusions until we see all the evidence," Warner said. "We're not going to try to leak stuff out. We feel very committed that we've got to follow this to where the truth ends." Re-evaluating the January 2017 intelligence community findings: "Assessing Russian Activities and Intentions in Recent US Elections"
So far, the committee has reached unanimous conclusions on the first three points. Warner predicts that at the end of the investigation, the bipartisan group of senators will be more divided on the effects of Russia's social media meddling. According to Warner, the committee has seen over 100 witnesses so far, but is reserving judgment on the collusion question until the witness interview process is completed. "I think what we want to try to do is give the American people the truth, not only in terms of what Trump and the Russians did or didn't do, but equally important, how do we make sure they don't do it again on a going forward basis," Warner said. 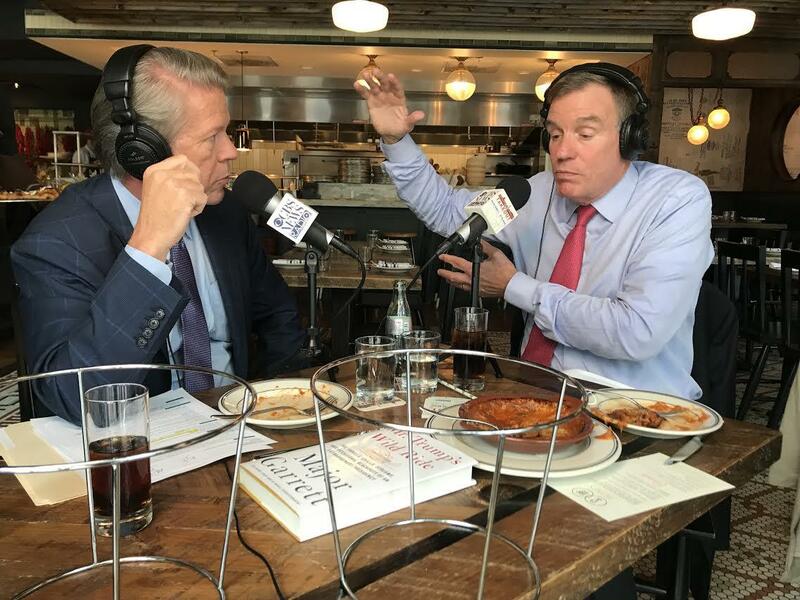 For more of Major's conversation with Sen. Mark Warner, D-Virginia, download "The Takeout" podcast on Apple Podcasts, Google Play, Stitcher, or Spotify. New episodes are available every Friday morning. Also, you can watch "The Takeout" on CBSN Friday at 5pm, 9pm, and 12am ET and Saturday at 1pm, 9pm, and 12am ET. For a full archive of "The Takeout" episodes, visit www.takeoutpodcast.com. And you can listen to "The Takeout" on select CBS News Radio affiliates (check your local listings).